50W Vaptio Ascension S50 ATC Kit implements the unique and advanced technology from Vaptio to achieve accurate temperature control, bringing you healthier vapor and better vaping experience! 50W Vaptio Ascension S50 ATC Kit consists of smart box MOD Soar S50 and Sail S50 ATC tank. It implements the unique and advanced technology from Vaptio to achieve accurate temperature control, bringing you healthier vapor and better vaping experience! Turn On/Off: click the fire button 5 times within 2s to lock/unlock the deivce. 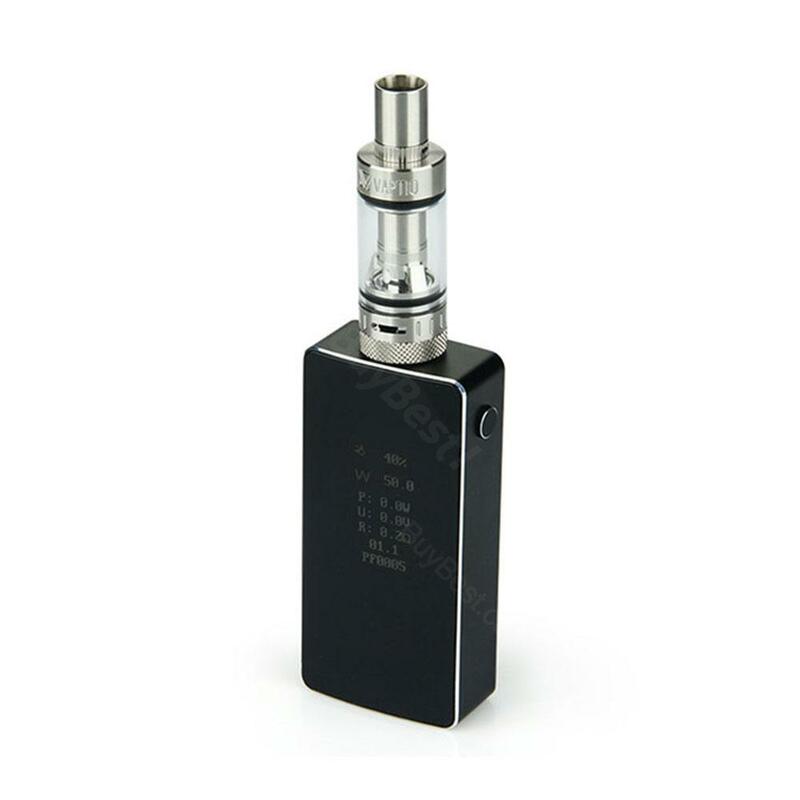 • There are CE, RoHS and FC mark on the back side of the MOD. Very good battery life, great flavor and came with replacemen coils. Vaptio ascension is my first temp control mod and I love it very much. Very well built quality, temp control is easy to work with. Flavor out of the S50 tank is nice too. I like vaptio ascension about its large battery, nice appreance and good performance. Very good price for such a solid vape kit. Defintely worth buying.